Description: To display select option in a screen, create a normal screen with a sub screen area. This sub screen area is going to hold sub screen containing select option in it. Step 1. 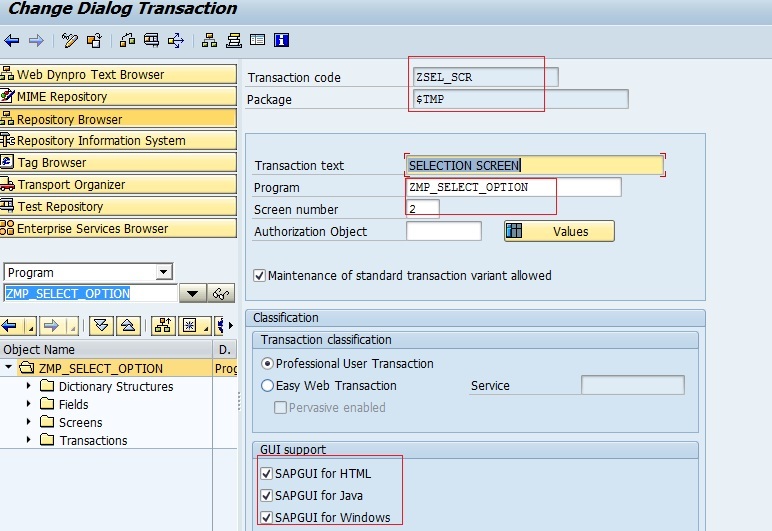 Create a module pool program, create a screen ‘0002’. Provide short description and select as Normal screen. Click on the Layout tab. Step 2. 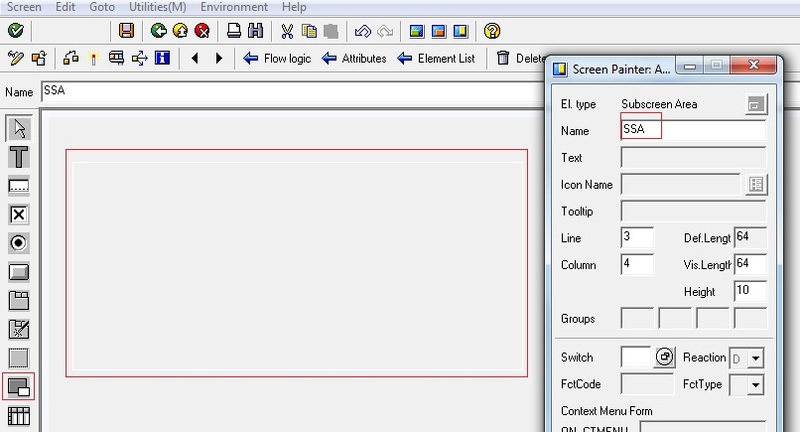 Create a sub screen area ‘SSA’ in the screen ‘0002’ by selecting the sub screen element. Step 3. 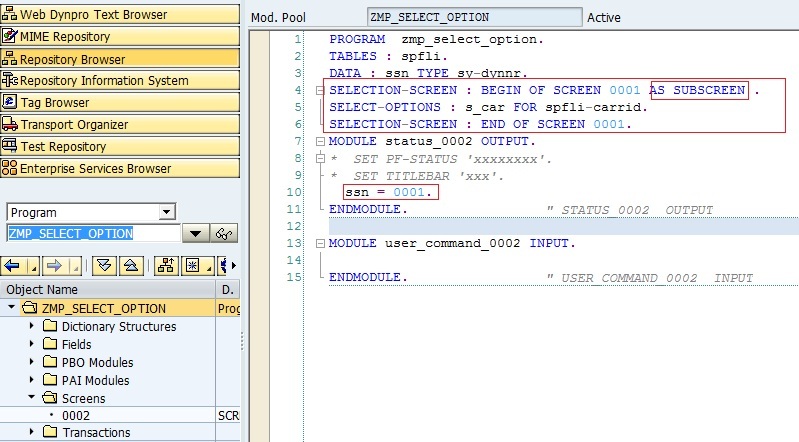 Create a T-Code for the Module Pool Program. Step 4. Define some statements in the flow logic of the screen ‘0002’. Define the modules in the program. the “Call Sub screen’ statement is going to call the sub screen (ssn) the sub screen area (ssa). Step 5. In the main program create a selection screen ‘0001’ as sub screen which will be placed in the sub screen area ‘SSA’ of the Normal screen ‘0002’. Step 6. Run the Program. The select option appears in the screen.